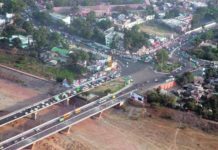 The summer capital of Indian state of Jammu and Kashmir, Srinagar witnesses a huge tourist footfall at all times of the year. However, summer is considered to be the best time to visit this place when it blooms in its full glory. There are beautiful Mughal Gardens, religious centres sporting beautiful architecture, houseboats on the majestic Dal Lake, apple orchards and shopping areas that’d keep you busy all day. 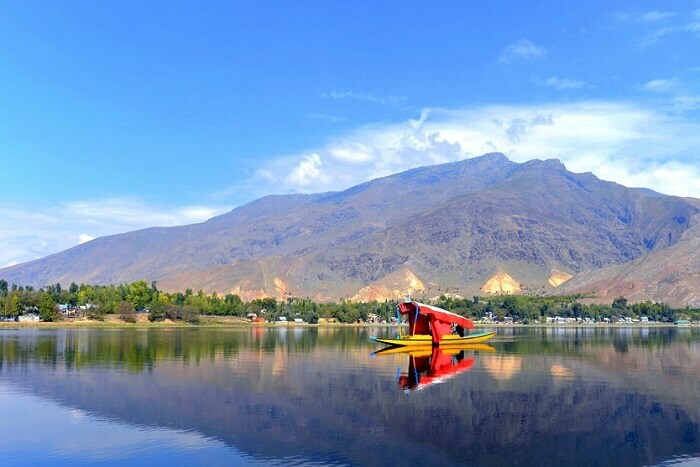 Go for a shikara ride, get to know about different types of flora and fauna of Dachigam National Reserve and spend a little time at the Shankaracharya Temple that rests at an altitude of 1000 ft. Our Srinagar travel guide contains an elaborate list of budget, mid-range and luxury hotels for you to choose from. Make the most of your time and try to visit all the attractions in our featured guides to experience the true flavor of Srinagar. Do not let the name fool you, this valley may well be the sea of tranquility. 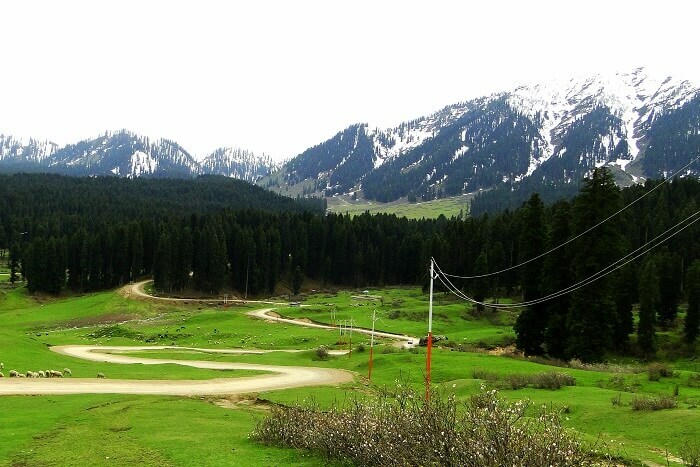 It is located on the road to Amarnath from Pahalgam. 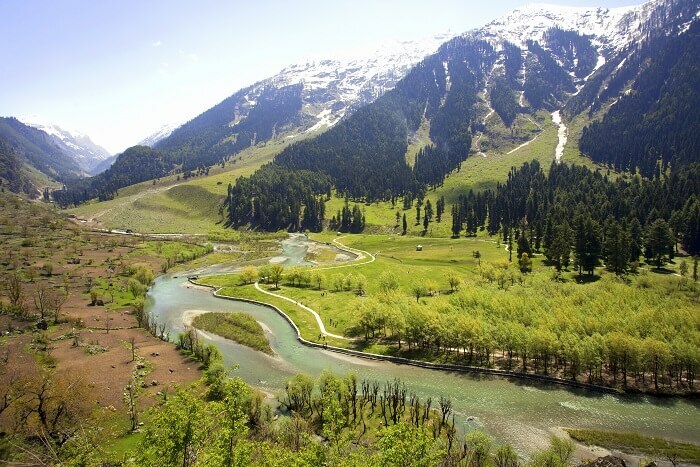 The lush green meadows and the crystal clear waters of the Lidder river evoke a sense of poetry. You can very well appreciate then why the poets and writers keep harping on Kashmir. The place gets its name from the Sunny Deol movie which was shot there, which is a real shame because the valley clearly outmatches what the movie offered its viewers. 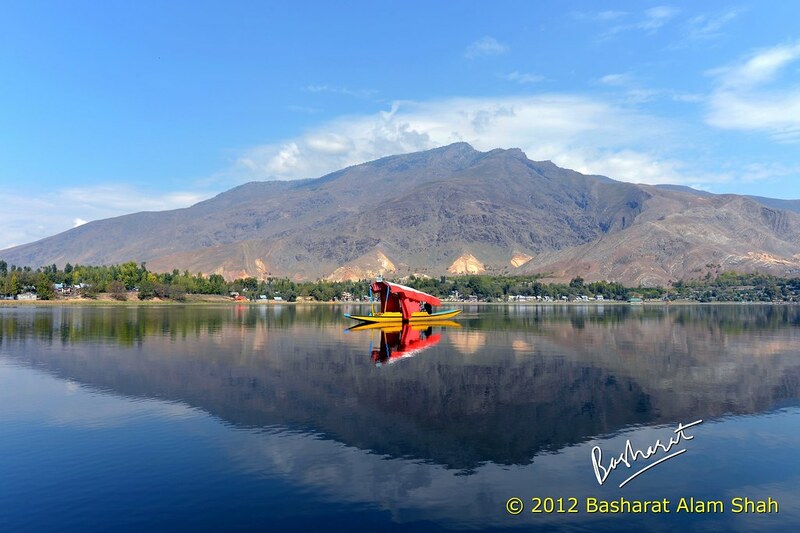 It truly deserves to be on top of the list of places to visit near Srinagar. Away from the hustle and bustle of the city lies the relatively obscure hill station of Yousmarg. The green meadows are a sight to behold. If you go a further 14 km, you will get to the Sang-e-Safed valley, a lake that is frozen even during summers. You can stay overnight at some of the JKTDC huts at Yousmarg. Because of its location, Yousmarg is also one of the best places to visit near the Srinagar airport. 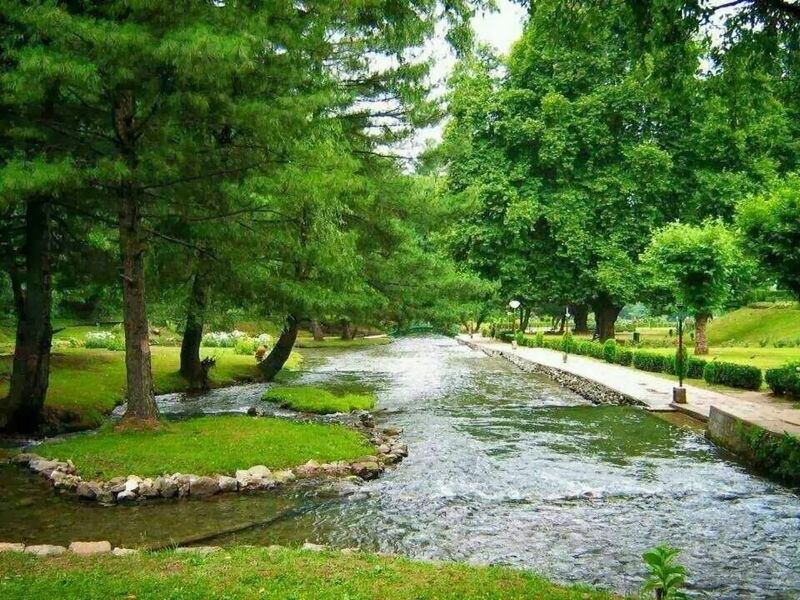 This Kashmir town is right in the heart of the beautiful Breng Valley. The serenity of the scenic Breng is at its height here, and the Botanical Gardens are popular with tourists and locals alike. Against the backdrop of the blue mountains, the small blue streams and the green meadows are picturesque. While the gardens look like they are out of a movie, it is also equally popular for trout breeding which is a novelty here. This pass is further on NH 244, going from Srinagar to Kokernag, and is fast becoming a magnet for tourists coming to the valley. 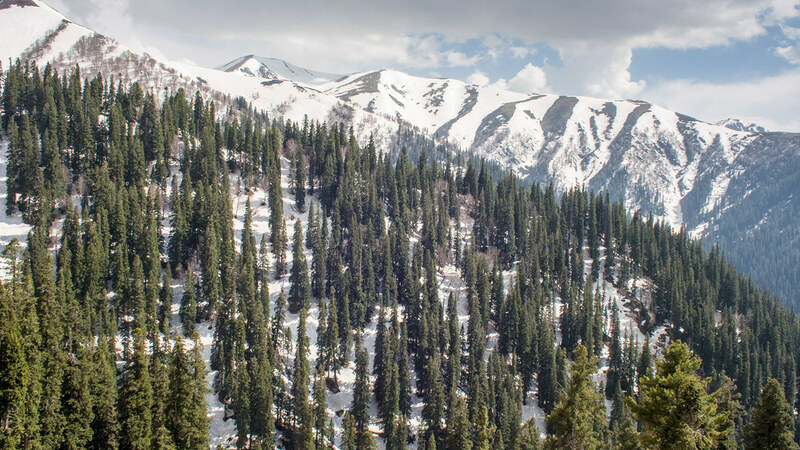 The pass separates the Kashmir valley from the Jammu region, and sports a “360 degrees point” from where you can spot Kashmir on one side and Jammu on the other. Also, there is always snow at the top (its elevation is about 12,300 feet). Literally meaning ten villages (for the ten villages that were relocated to make way for the park), it has been under protection for over a hundred years now. The Alpine pastures, conifers, meadows, and waterfalls are inhabited by the endangered Himalayan brown and black bears. 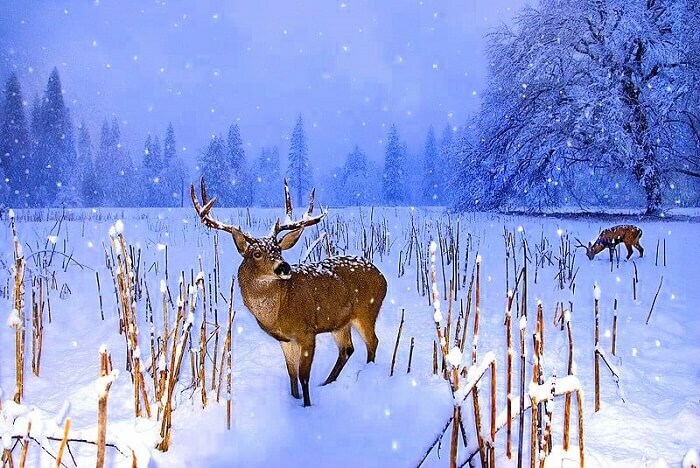 You hope you don’t run into one but you do hope you see the very last of the Kashmiri stag that live here. Deep into the park is the Marsar Lake, and Dachigam is a stop for many trekkers hoping to get to this lonely lake in the mountains. It is also popular with tourists looking for sightseeing near Srinagar. This lake inspired Nur Jahan to build a garden around it, and there aren’t many sights in the valley that match the beauty of the groves of lotus growing in the lake. The stems of the lotus are harvested and used to make the Kashmiri nadru, which you should try. The lake has found favor traditionally with Kashmir birds that live in and around water, and the site is popular with bird watchers. The ruins of the 17th century Mughal fort and the terraced garden, called the Daroga Bagh, can be found along the northern shore. 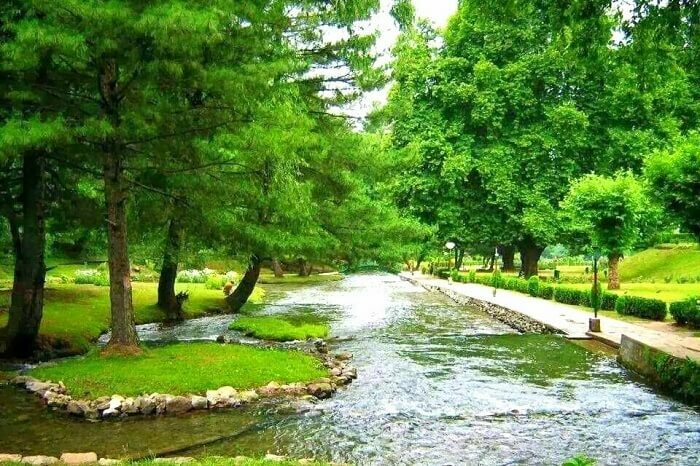 Manasbal is one of the best places to see near Srinagar. 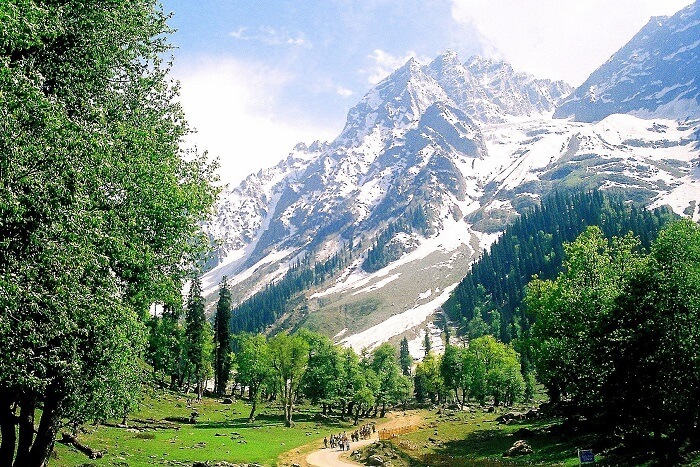 Another hill station and one of the best places to visit near Srinagar, Kashmir, Sonamarg is at 9,200 feet above sea level and stands out for the imposing mountains that mark its skyline – the Sirbal, Kolhoi, Machoi, and Amarnath peaks are all above 5000 metres. The overwhelming geography of the place will thrill nature lovers, and you will find yourself constantly gaping at the amazing mountains. From Sonamarg, you can easily reach Baltal, a beautiful valley at the foothills of the Zojila pass. 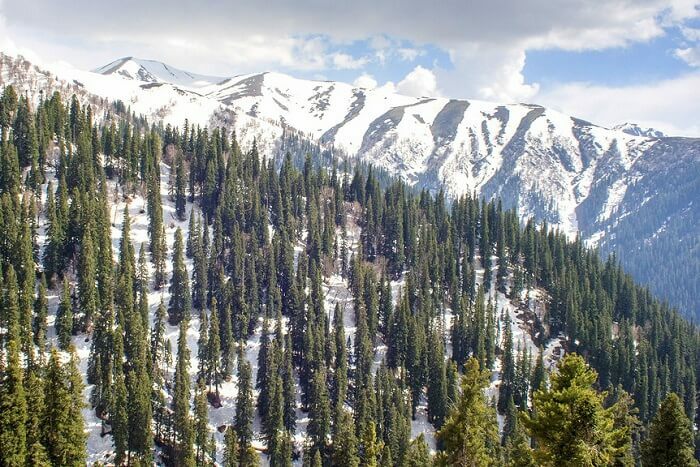 One of the more spectacular places to visit near Srinagar, Doodhpathri is a small hill station at an elevation of 9,000 feet above sea level. 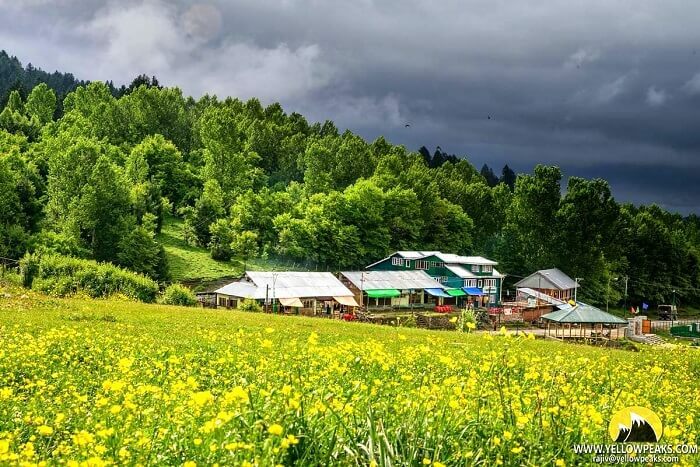 Getting its name from the milky water of its many streams, Doodhpathri is an incredible expanse of green meadows against the backdrop of snow clad peaks. Pine and deodar cover the hills, and during summers, the valley is filled with flowers such as butter cups and forget-me-nots. A desolate mountain pass between the valley of Kashmir and Ladakh, the Fotu La is even higher than the Zoji La. The highest point on the mountainous highway, the Fotu La is one of the two passes that connect Kashmir and Kargil. 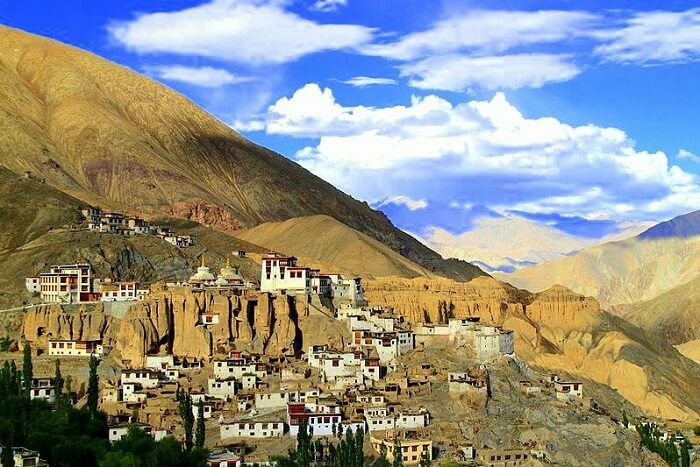 The point is worth a visit in itself as the forbidden beauty of the naked hills and the snowy mountains against the blue skies welcome you to Ladakh. 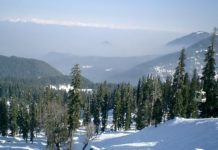 This is a popular getaway from Srinagar and one of the coldest places to visit near Srinagar, and is noted for its extensive ski sports. In fact, it has figured in several best of Asia rankings for winter sports. The British era St Mary’s Church is something that you must see here. Also, the French built gondola is one of the highest in the world, and can ferry about 600 hours in one hour. 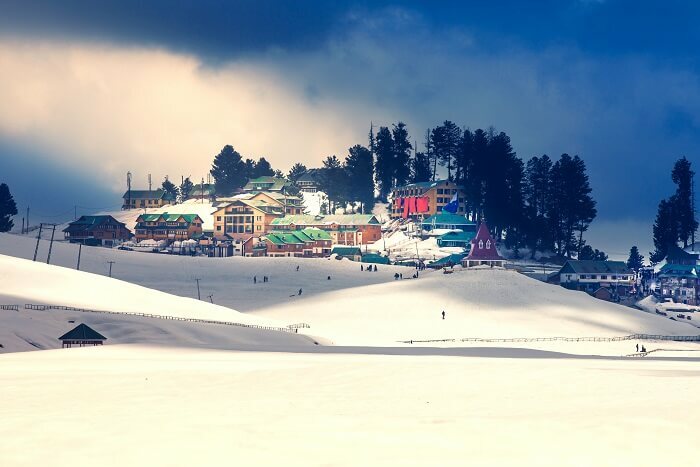 Another relic of the British fascination at this place is the Gulmarg Golf Course, which holds the distinction of being the highest green course in the world.